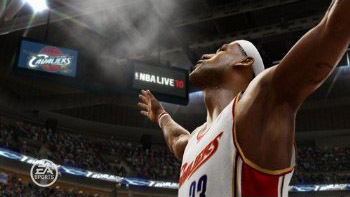 Basketball fans expecting NBA Live 11 to hit stores this fall are going to be sorely disappointed. Electronic Arts announced today that they’re retiring the Live series, and in its place releasing a new franchise called NBA Elite. Electronic Arts had used the NBA Live moniker since 1995’s NBA Live 95, though the company’s basketball games first started in 1989 with NBA Playoffs: Lakers vs Celtics. Why the change? There are a couple probable reasons. It has been fifteen years since the first Live game, and while the past couple editions sold well enough and received generally favorable reviews, they didn’t receive the sort of excitement from the sports and gamer community that a series like Madden generates yearly. With the gameplay receiving the major overhaul that it has, a name change and a brand new features list could go a long way in building up buzz (and sales) for NBA Elite. NBA Elite is set to hit stores this October. So, readers, how do you feel about the change?